An exceptionally smooth and pure gin to express ‘The spirit of the Lakes’. Vince Wilkins was inspired to create the first gin made with Lake District spring water, to capture the beauty of the Lake District. Vince worked with a master distiller to perfect a unique blend of botanicals distilled with Cumbrian kiln-dried oak bark, and so in 2008 Bedrock Gin was born. A distinctive gin with a singular smooth mellow style, vibrant botanicals and fresh citrus essences, that refreshes, revives and elevates the moments you drink it in. 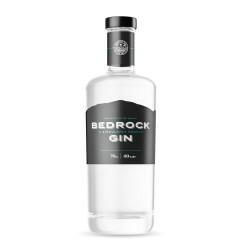 Bedrock Gin has been recognised by worldwide industry awards, winning numerous awards including Gold awards from both Gin Masters and the International Wine and Spirits Competition.